Holiday stress is a by-product of the season. By having a strategy to avoid and manage the pressure of the holidays you can glide through the season. When we start to see the decorations, listen to the jingle-bell music and start to smell the pine we prepare for the joy the season promises. What we don’t always bargain for is the significant amount of stress, pressure and tension that can accompany the holidays – especially for the person (mostly women) in charge of decorating, organizing family celebrations, buying the presents and making the food. With all the joy and togetherness that we expect as part of the holidays, they can also bring sad memories or make some of us feel alone. The holiday season is usually also accompanied by low temperatures and little sunlight, which can contribute to the seasonal blues. We see all the hustle and bustle of the season and for various reasons we may not feel like we are able to march to the Little Drummer Boy’s beat this year. In short, holiday season can be filled with delight but can also lead to a great deal of stress and strain. 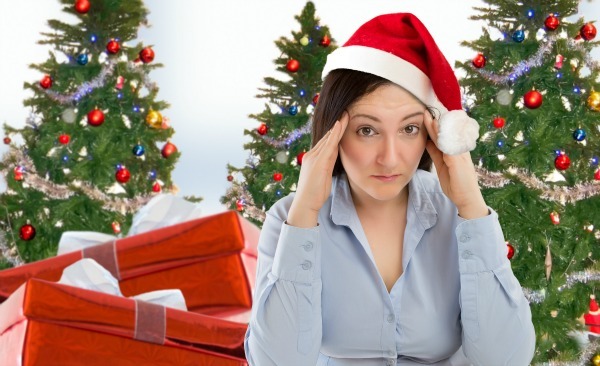 So, what can you do to cope with holiday stress? It may sound too simple, but we often forget that having a plan to manage the season can help us roll into end of the holidays feeling energized and invigorated and ready for what the New Year brings. Being organized helps. Look at the calendar and plan specific days for shopping, baking, decorating, wrapping and visiting. By planning ahead we can avoid anxiety as time becomes tight. Be honest with yourself about what you can and cannot do. Think about it in terms of time, energy and finances. Set a budget for yourself for all three. Allocate the time it will take you to do something, the energy you will devote to a project and the money you will spend on to make it all happen. For you to accomplish everything that needs to be done you will need to refill your tank – you can’t run on empty. Build in quiet time each day to relax and unwind. Allow time for quiet reflection, whether it is time spent in meditation or in taking a relaxing bath. The first thing that often goes is the time we devote to exercise. During this time of year it often seems like we don’t have time to exercise. Exercise makes us feel better (particularly when it is finished) and is an important part of maintaing our energy level and positive mood. It really should be the last thing to go! If you can’t get in a full exercise session at the gym, look for small opportunities throughout the day – accept that parking in the far ends of the lot may give you the chance to get a walk and think about trimming the tree as proving you the stretching that you missed at the gym. When the weather allows spend some time outside. If this is impossible, at least sit close to a sunlight window when you can. Researchers are finding that our mood is influenced by a complicated relationship between sunlight and hormones. As winter starts to rob us of sunlight it becomes important for us to compensate by being more determined to get some rays. The holidays are filled with goodies. Usually everywhere we look there is something to eat. It is hard to resist. And maybe you shouldn’t resist – totally. Don’t deprive yourself of the goodies but at the same time don’t overdo (as hard as that may be). 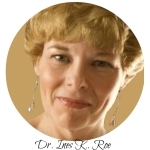 This is not the time to set lofty weight loss goals (those can be saved for next year). A good goal would be to enjoy the holidays and make the decision to be “ok” with just maintain the weight and not gain weight. This can be accomplished through moderation. Plan not to graze through the entire month of December but allow yourself to eat and enjoy in moderation on the special holiday occasions and get-togethers. The holidays are about connection. This time of year is about connecting with family and friends, our spiritual part and with our past. This is why traditions and rituals are an important part of the season – they provide an anchor. However, anchors can also be weights. Maybe something changed for your this year – a loss, a death, a divorce, an illness – and you just don’t “feel the season.” Remember everything does not have to be “perfect” or a duplicate of last year. Families change, they grow and they shrink – they evolve. While it is important to honor traditions and rituals it is also important to be open to creating new ones that flow with the reality of our lives. As you prepare for the season that can be filled with both a joy and stress remember that as happy and stressful as this month is – it will pass. Before we know it the time for a new year will be here and we will look back on this holiday season with contentment or relief.